Golf tees are reusable if cleaned properly. The tee shot is the start of every golf round, and every hole within the round. To help ensure your best chance for a successful tee shot, you should use a new, or clean and undamaged reused golf tee. 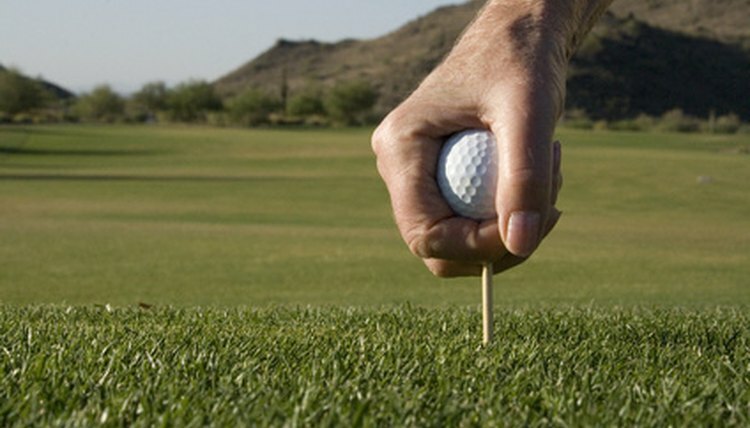 There are a wide variety of types and materials of golf tees. Types include the traditional peg (with a cone-shaped head), brush, low friction and step-down. Materials include hardwood, plastic and biodegradable. Some tees are expected to be discarded after use, such as the traditional peg type, usually made of hardwood or biodegradable material. Some tees are expected to be re-used, such as the brush and step-down types, usually made of plastic. However, all tees are reusable if not damaged during use. Here is how to inspect and clean a used tee to restore it to good as new condition for use on the course. Determine the type and material of tee to be used. Use it for a tee shot. Locate the used tee after tee off. With good ball contact, the tee often flips backward to a location behind its original location. Inspect the found tee for damage, such as a broken or cracked stem, or a chipped cup. If it is damaged, discard it in the receptacle provided at the tee box. Take the undamaged tee with you and leave the tee box so not to delay play. Brush off any dirt or turf that is adhering to the tee and clean the tee with a wet towel. Dry the clean tee with a dry towel. Re-inspect it for damage, such as a cracked stem that is opening up. If damage is revealed, discard the tee. If it is undamaged, the clean tee is ready for reuse.